Every member of the Health Care Database has an online Medical Profile that contains biometric data or treatment infomation and existing conditions. It is the responsibility of the Account Holder to ensure that the account is updated by all the doctors and medical personnel who have been visited, its therefore advisable to visit only those medical facilities where your profile can be updated with your latest medical information so that you too can keep track of your health. Multiple sources of information (eg: pharmacies, hospitals, Laboratories, clinic, etc) can be used to update a single Medical Profile. However, if the Account Holder fails to create or update the information within his/her own account then no information will be provided when the basic bio data is requested or when the Health Care Card (QR code) is scanned. The Account Holder has control over the Medical Profile and should ensure that it always has the basic information needed in case of an emergency. The Account Holder therefore accepts full and sole responsibility for maintaining a complete and accurate Medical Profile within his/her account. The Account Holder should also be aware that the information within the account my be updated by: doctors, pramedic, dentists, lab technicians, emergency reponders and many other entities after they have performed their duties, its the Account Holders responsibiity to log-in to the account and keep up to date with such information regarding his/her most current treatment and health. It is solely the responsibility of the Account Holder to ensure that all information provided, including but not limited to medical history, medications, emergency contact names and contact information, is current and accurate. The Account Holder is also responsible for entering, maintaining and updating all information contained in the Medical Profile within the account. The Account Holder is responsible for activating and deactivating all optional data within the account. The Account Holder agrees not to reproduce, duplicate, copy, sell, resell or exploit any portion of the Service, use of the Service, or access to the Service or any contact on the website through which the service is provided, without express written permission by the service provider. We reserve the right to refuse service to anyone for any reason at any time. The Account Holder is solely responsible for all payments and all costs that may be associated with the service as offered by third parties like internet service providers. The Account Holder grants permission to notify the designated Emergency Contacts of the time and location that an emergency has occured. The Account Holder is solely responsible for designating emergency contacts, ensuring that designated emergency contacts have accepted this designation and providing complete and accurate emergency contact information. We do not verify the accuracy of the contact information provided and will not check or confirm that the information entered is complete and accurate. We will notify emergency contacts using the contact information that was provided by the Account Holder. If the information is not correct, the emergency contact may not be notified. Only emergency contacts who have expressly accepted this designation will be contacted when the QR code on the Health Care Card is scanned. We are in no way responsible for any party’s reliance or lack of reliance on an Medical Profile. We reserve the right to update, change or replace any part of these Terms of Service by posting updates and/or changes to our website. We will notify you of any material changes to these Terms of Service. Your continued use of or access to the website following the posting of any changes constitutes acceptance of those changes. 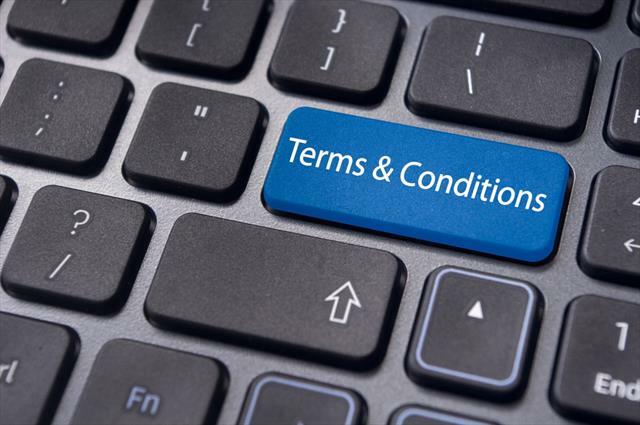 By agreeing to these Terms of Service, you represent that you have the authority to create an account. We do not guarantee, represent or warrant that your use of our service will be uninterrupted, timely, secure or error-free. In no case shall we, our directors, officers, employees, affiliates, agents, contractors, interns, suppliers, service providers or licensors be liable for any injury, loss, claim, or any direct, indirect, incidental, punitive, special, or consequential damages of any kind, including, without limitation lost profits, lost revenue, lost savings, loss of data, replacement costs, or any similar damages, whether based in contract, tort (including negligence), strict liability or otherwise, arising from your use of any of the service or any products procured using the service, or for any other claim related in any way to your use of the service or any product, including, but not limited to, any errors or omissions in any content, or any loss or damage of any kind incurred as a result of the use of the service or any content (or product) posted, transmitted, or otherwise made available via the service, even if advised of their possibility. Because some countries or jurisdictions do not allow the exclusion or the limitation of liability for consequential or incidental damages, in such states or jurisdictions, our liability shall be limited to the maximum extent permitted by law. You agree to indemnify, defend and hold harmless the Health Care Database and our parent, subsidiaries, affiliates, partners, officers, directors, agents, contractors, licensors, service providers, subcontractors, suppliers, interns and employees, harmless from any claim or demand, including reasonable attorneys’ fees, made by any third-party due to or arising out of your breach of these Terms of Service or the documents they incorporate by reference, or your violation of any law or the rights of a third-party. The failure of the Health Care Database to exercise or enforce any right or provision of these Terms of Service shall not constitute a waiver of such right or provision. These Terms of Service and any policies or operating rules posted by us on this site or in respect to The Service constitutes the entire agreement and understanding between you and us and govern your use of the Service, superseding any prior or contemporaneous agreements, communications and proposals, whether oral or written, between you and us (including, but not limited to, any prior versions of the Terms of Service). Any ambiguities in the interpretation of these Terms of Service shall not be construed against the drafting party. It should be noted that the Health Care Card is not an insurance card and neither is the Health Care Number an insurance number, those two are personal items that give quick access to the account holder's basic medical records and contacts in "case of an immergecy", they also help the account holders to keep track of their personal health.